Rather than look at maternity leave and parental needs as impediments to business, see the bigger picture and adopt a practice culture that communicates empathy. The logistics surrounding a pregnant and postpartum employee need to be addressed and accommodated. While I have always respected the roles that mothers play in society, it was not until I became a mom that the breadth and depth of the job sank in. I have the tremendous fortune of working for a true servant leader, a working veterinarian-mom of three who is sympathetic and accommodating to the demands placed on my time, money, energy and head space outside the office. I will be forever grateful for the allowances she has provided, enabling me to be the involved, present mom I strive to be and to maintain a career about which I am passionate. Prioritizing the welfare and personal needs of employees in our practice does not stop with mothers. The web of compassion and courtesy is cast over the entire workforce. We strive to consistently model servant leadership, an approach that has reshaped my definitions of success in business. My hope is for this culture and management style to not only continue to flourish in our practice, but to be promoted and adopted by more businesses throughout our industry. The veterinary workforce is predominantly made up of women, many in their childbearing years. When an employee notifies management that she is expecting, let’s choose to celebrate and support her. Block knee-jerk, self-centered thoughts of how their pregnancy is going to be a costly disruption to the workflow and recognize the joy and enormity of the life event. Gain the perspective that work restrictions and leaves of absence are temporary. The journey is an effort to birth and raise a member of the human race. 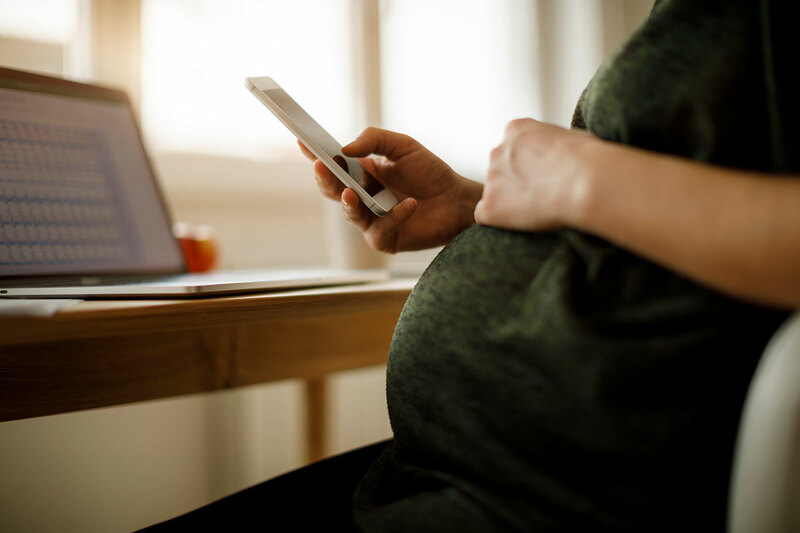 That is not to dismiss, however, the fact that the logistics surrounding a pregnant and postpartum employee need to be addressed and accommodated. A critical management task is to maintain an employee handbook that aims to provide consistency when addressing a large range of human resource situations, including maternity considerations, that are both legally sound and in keeping with the company culture. Federal laws pertaining to maternity, including the Pregnancy Discrimination Act, the Family and Medical Leave Act and, in some instances, the Americans with Disabilities Act, outline specific provisions that employers must make if their companies are of eligible size (15, 50 and 15 employees, respectively). When developing a written protocol, start with these acts and applicable state laws to protect your business from any unintended discrimination claims. Once practice leaders have determined what must and cannot be done, a thoughtful workshop on what should and should not be done is the next step in developing a comprehensive plan for your valuable team. Anticipate situations and consider the financial, labor and cultural repercussions of your standardized response. Topics to navigate include real and perceived work restrictions, maintaining privacy, pre- and post-partum leave, handling employee benefits while on leave, returning to work, nursing and breast-pumping mothers, and child care issues. While this article largely addresses mothers, remember that parenthood comes in many forms: men and women, birth and adoption, married and unmarried. I was disheartened to learn that less than 20 percent of U.S. companies offer a paid maternity benefit outside of any short-term disability insurance policy. I am proud that our small business of 22 employees has been able to sustainably offer six weeks of paid parental leave, in addition to any available paid time off, to both men and women, full or part time, surrounding the birth or adoption of a child. Women are granted an additional six weeks of unpaid time off as a maternity benefit. Budgeting for this benefit has been critical to its success. Fifteen babies have been born to employees in our practice’s 15-year history. While some of our mothers chose not to return to work or did return but later chose an alternative career path, in each case there were opportunities to bond as a team, promote a healthy work-life balance and illustrate what servant leadership looks like in our practice. New parents often have difficulty predicting what they can commit to their employer. Validating this uncertainty by building flexibility, understanding and grace into your standardized policies communicates empathy toward your team and reduces the frustrations associated with administering benefits. I meet with our pregnant employees several times before the big day and initiate an informal conversation about their plans. Having a pulse on their financial needs, their access to child care and their emotional state allows me to develop plans A, B and C to accommodate short, long or permanent leaves of absence. While being cautious to not show favoritism or set a difficult-to-replicate precedent, work with your new-parent employees to find creative ways to support their family and work lives. One size certainly does not fit all. Late in, early out, fewer days, maximum hours, longer lunches, remote access — all are options designed to make juggling the demands of work and home more manageable for employees. Use the workflow changes to identify inefficiencies and bottlenecks and find ways to leverage the entire support team for maximum, sustainable output with minimal labor. When an employee request impacts clients, such as an associate veterinarian wanting to ease back into work slower than expected, turn the strain on the schedule into a public relations boost. For instance, spread the word that “We are supporting Dr. Smith in her role as a new mother! To accommodate her temporarily reduced schedule, we will limit the amount of non-sick patient appointments available each day. Call early to reserve your wellness update spot!” Not only will this approach resonate with your primarily female client base, it creates a call to action and adds urgency to appointment bookings. Whatever the path — benefits, accommodations, emotional support — remember to not lose sight that we are managing people who spend up to a third of their waking hours working for our businesses. Let’s do all we can to create an environment that regularly shows appreciation for that contribution and respect for the lives they lead outside regular operating hours.